FREE SHIPPING for Fountain Pens! 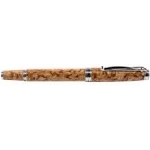 (this free shipping offer does not apply for orders in combination with other heavy or large products from the website, US mainland only) The family owned manufacturer Cleo Skribent has specialized in the production of sophisticated fine writing instruments. That name has become not only famous in Germany, but is also known in Japan, Russia, Central and Eastern Europe, the U.S. and Canada, where it is becoming synonymous with such values as solidity, tradition and quality “Made in Germany”. Cleo Scribent is one of only a few companies to truly produce completely in Germany. Only the highest quality materials in the world are used for our pens. Rare woods as well as precious metals are included. However, that alone does not turn a fountain pen into a fine writing instrument. In addition, all of the employees are experts in their field. 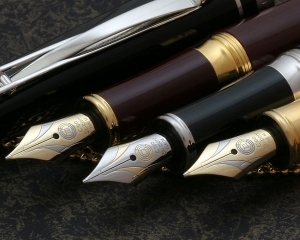 Decades-old craftsmanship, countless hours of work by hand and a large number of production processes are required to produce a single fountain pen. Up to twenty-six individual parts per pen are processed. In the fields of tool making, precision injection-molding technology and nib finishing, Cleo Scribent operates at the highest level. With brush tips as fine as a hair and a steady hand, the bicolour nibs are created, which are unrivaled throughout the world.